It’s fun to share secret photos with friends. It’s funner to do it in plain sight. 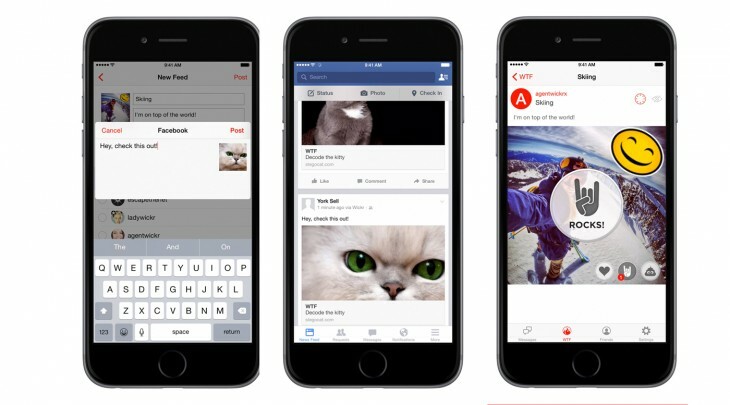 Super-secret messaging service Wickr just launched a new way to share secure photos within its app and with friends via Facebook right in your timeline. The Wickr Timed Feed (WTF) feature is available for iOS devices and shares photos for 24 hours before they self-destruct. 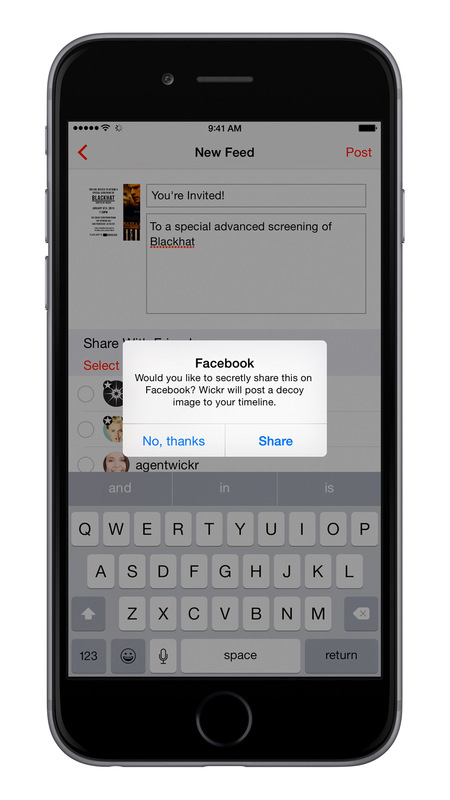 While sharing within an app that’s already secure doesn’t seem that exciting, sharing those photos on your public Facebook timeline is an entirely different beast. Wickr uses steganography (the act of hiding a message in plain sight) to share secret photos on Facebook. Instead of seeing the image you’re sharing with select individuals, everyone will see a cute kitten photo. People you want to see the secret image can click on the kitty and the Wickr app will launch to reveal it. The images can be shared with up to 151 friends and the app features photo filters, the ability to mark up with “graffiti” and stickers. While the decoy cats are a fun way to hide secret images in plain site, it’s actually a pretty savvy way to get more Wickr users. “By tying into the world’s largest social network and offering up something only certain people can see, it may pique the interest of non-Wickr users, prompting them to start using the app. Wickr’s WTF feature is available for iOS devices right now.